After the official article came out, I had to have a bit of a re-think around the EnteredBackground and LeavingBackground states that are now part of the app model and every UWP developer should familiarise themselves with how those events work because they have implications for how you do state management in an app. Activations – how many times the App.OnActivated override has been called. 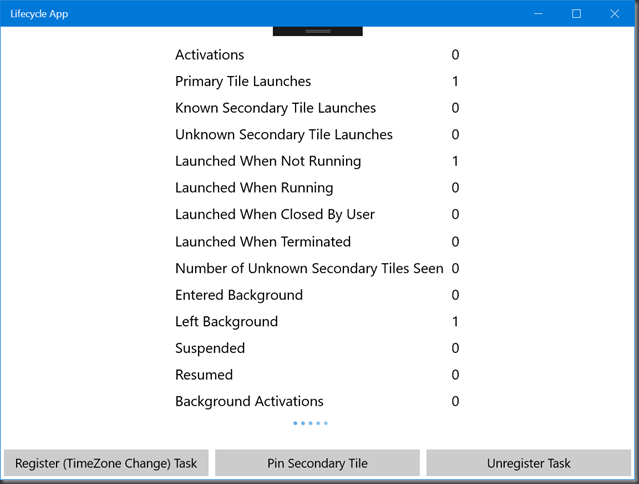 Number of Unknown Secondary Tiles Seen – how many times was this app launched from a secondary tile that it didn’t create? Background Activations – count of calls to the App.OnBackgroundActivated override. 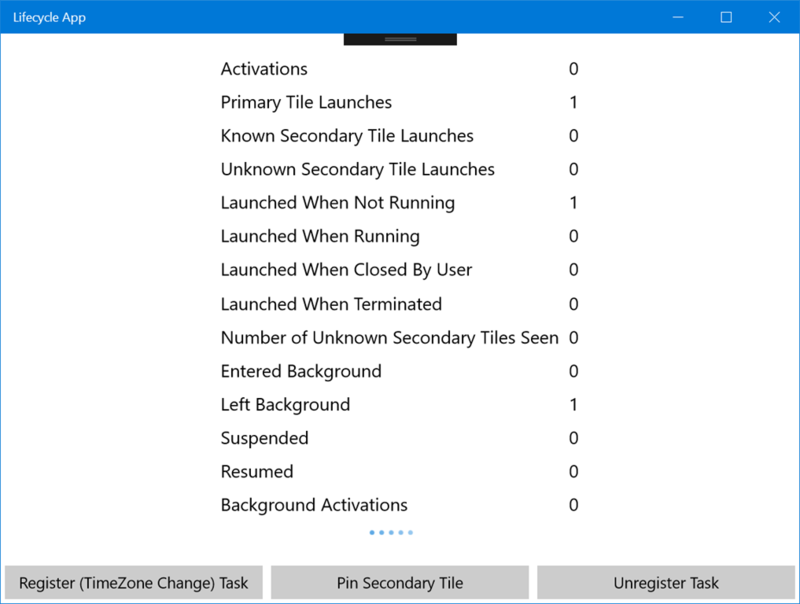 Pins a secondary tile to the start screen with an ID of “App2” and a terrible icon. In the screenshot above, I have launched the app from the primary tile (count 1) and it has been launched when it wasn’t running (count 1) and has left the background state (count 1). Does not contain any custom WinRT components – it’s all written with the Single Process Execution model. Does not contain any manifest references to background task declarations.